New Release! Get your Free chapters. . .
How far would you go for freedom, love, and safety? 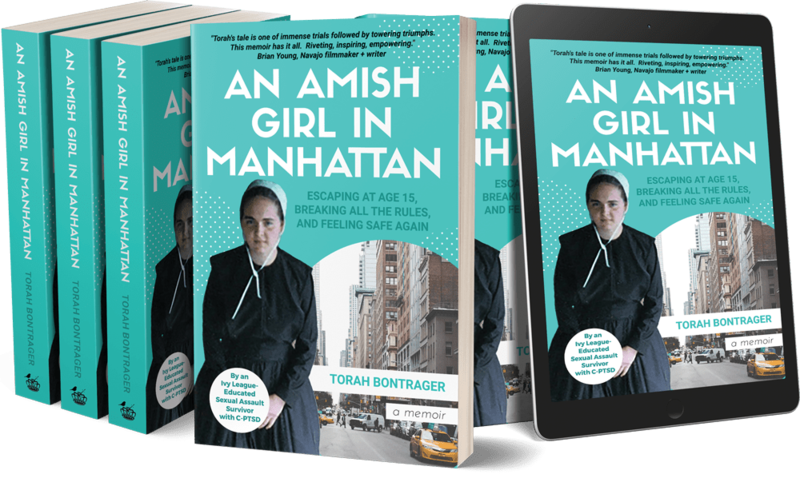 The true story of an Amish girl who escaped in the middle of the night at age 15. “Torah’s tale is one of immense trials followed by towering triumphs. Less a book and more a confession from a close friend. “Torah’s work is a tribute to the resilience of the human spirit. Her fierce determination to claim her story while simultaneously not giving up on her people is what saints are made of. I found my home and the freedom to be myself in New York City. The color and style of clothes indicate what “class” of Old Order Amish the individual is a member of. Traditionally, the Amish are farmers but because the Church doesn’t allow the use of tractors, they can’t compete with modern agriculture. Our farming traditions and knowledge are dying. From the chapter, "A Car Crash and My First Funeral"
A teenage boy lay in the open casket next to the bishop. During rumspringa—a period of time from age sixteen or seventeen until marriage—he’d bought a car and, after a night of drinking and partying, ended up killed in a crash. When the sermon, hymns, and prayers were over, the preacher sat down. Row after row, people in the barn filed past the casket and returned to their seat. The adults held their small children up and pointed when they got to the dead boy. None of the Amish people in the front rows had tears on their faces. 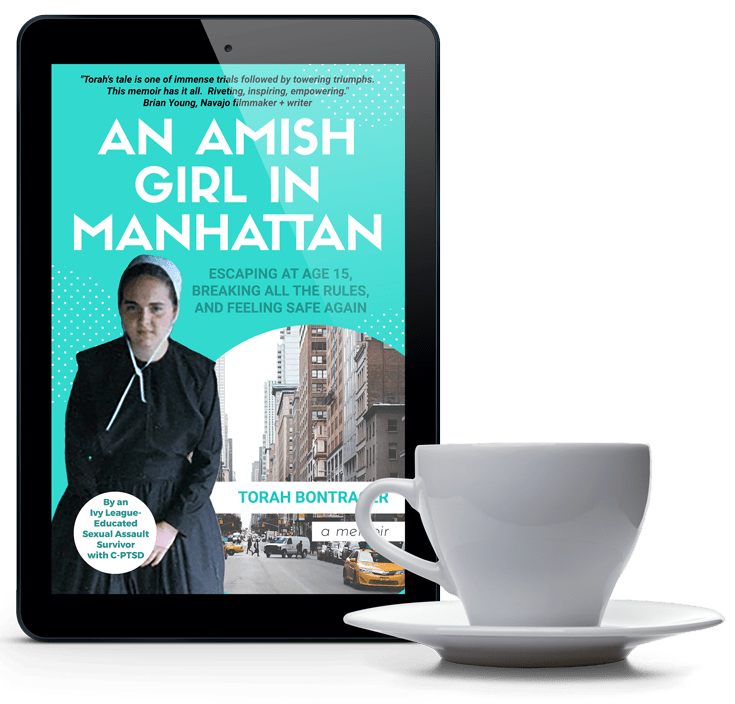 The longer I inspected their behavior, the more it seemed to me that the boy’s English friends really loved him and that maybe his Amish relatives didn’t care for him quite as much. Was he that bad if he had friends who cried in front of all the people? This book is to let you know that you don’t have to be extraordinary to be Extraordinary.